They say a worker is only as good as their tools! Equip yourself with the finest from our expansive range of scissors, snips, cutting mats, rulers and multi-purpose fabric pens and glues. 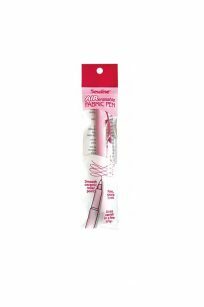 Thread snips for easy trimming of loose threads – the essential tool for ever sewer, quilter, and embroiderer! Decorative, fine pins made of high carbon steel wire. With the colourful, pearlised plastic ball heads these durable pins are easy to see in any fabric and less likely to go astray. 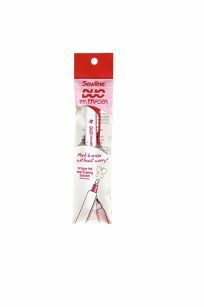 Perfect for any craft or sewing project including basting delicate fabrics and machine piecing and also for a quality decorative touch to any crafts and quilting projects. Do not apply iron to pins directly. 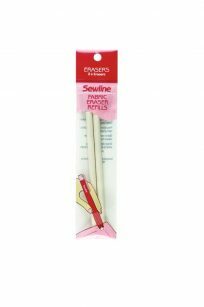 The Sewline Fabric Eraser provides a convenient way to erase pencil lines from fabrics. 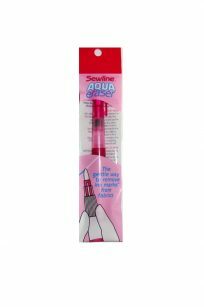 Refill pack containing 2 glue pen refills to suit the Sue Daley Fabric glue pen. 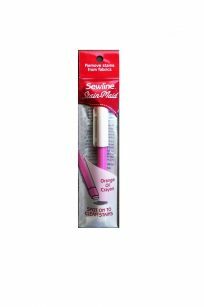 Pack of 2 refills for the Sue Daley Sewline Fabric Glue Pen. 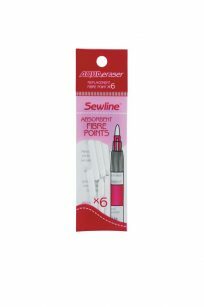 Handy pack of 6 nib refills for the the Sewline Aqua Eraser. 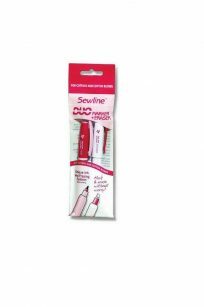 If you want a fabric marker for instant projects, that gives clear lines that are not furry, do not bleed and can be easily erased this Sewline pen is for you. 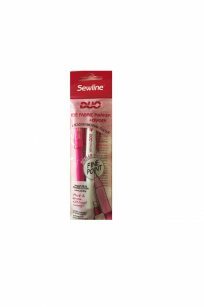 For use ONLY with the Sewline Duo Marker, this clever eraser instantly dissolves the markings and does not leave any dangerous residue. A very handy product. Our StainMaid is a blend of orange oil and natural ingredients with a proven ability to dissolve and effectively lift oil-based stains, grease, inks, blood, lipstick, coffee and tea to name just a few. Precision formed, ceramic rolling ball point gives smooth movement across fabrics without snagging or damaging the weave. 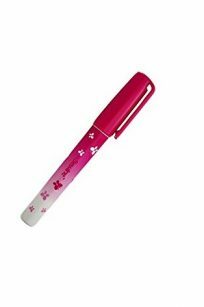 The 0.8mm point gives a fine line that doesn’t bleed and gives an even laydown of ink, right to the last drop. 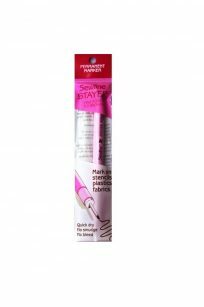 This PERMANENT marker pen gives a strong clear black line on fabrics, most plastics and ceramics. 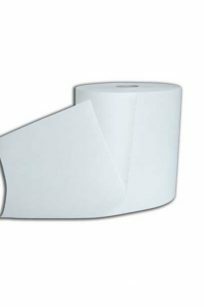 Great for stencils and labeling school clothes. Stayer ink is waterproof and has a low odour. It is quick drying and non-smudge. Xylene free. No need to heat set on fabrics. A very handy tool. Available in black or brown ink. 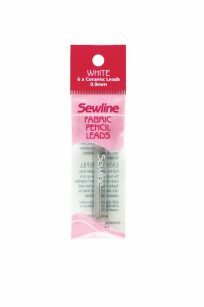 Ceramic lead refill pack – suitable for use with the Sewline fabric pencil, Trio and Trio Colors. Available in white, green, pink , black and variety packs. Getting those drafting lines from fabric has sometimes been a cause of concern when we wanted to get rid of the lines without hurting our fabric. Not any more with the new Sewline Aqua Eraser. It works rather like a fountain pen with a reservoir you simply fill with water or a water and detergent mix. 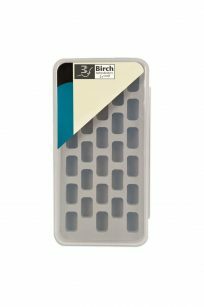 This nifty Birch brand Bobbin Box will keep all your bobbins safe, secure and most importantly of all – organised! 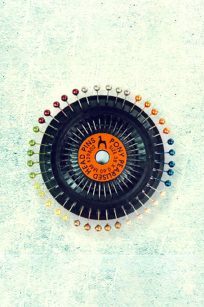 Never misplace your bobbins again. This unbranded 2GB USB thumbstick flash drive is only 2GB in size — perfect for embroidery files, and quick reading/writing from your machine’s memory! Our much loved Duo Marker is now available in a fine, roller ink point. 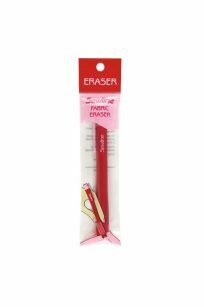 Marks clear, fine, dark lines on most fabrics – disappears in an instant with the Duo Eraser. Duo Eraser ( included in pack and sold separately). This clever glue stick means the end of sewing around pins! 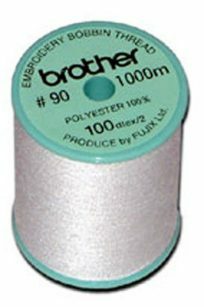 A water-soluble blue glue that dries clear is a quick, convenient way to hold fabrics for sewing. 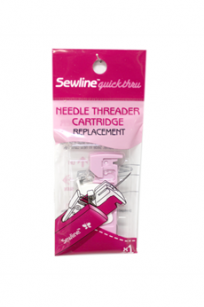 Great for quilting and applique work but also for hemming and general sewing. Once glued, the fabric pieces can be pulled apart, so not to worry if they are misplaced or need to be adjusted. Refills available. Wonderful time saver for English Paper Piecing. 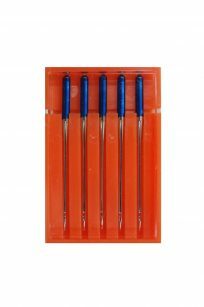 If used with needles larger than appropriate or with the needle incorrectly inserted, the fine thread guide pin can become damaged or broken. Knowing this may happen, Sewline have designed the Threader so that just the mechanism needs to be replaced. There is a Replacement Cartridge available and it is easy to slip out the broken one and slide in the new. Suitable for Quick Thru’ and Sure Guide needle threaders.